Also serving communities of Richfield. There are 13 Memory Care Facilities in the Broadview Heights area, with 2 in Broadview Heights and 11 nearby. The average cost of memory care in Broadview Heights is $5,250 per month. This is higher than the national median of $4,650. Cheaper nearby regions include Strongsville with an average starting cost of $4,691. To help you with your search, browse the 9 reviews below for memory care facilities in Broadview Heights. Better rated regions include Parma with an average rating of 4.6 out of 5 stars. Caring.com has helped thousands of families find high-quality senior care. To speak with one of our Family Advisors about memory care options and costs in Broadview Heights, call (855) 863-8283. Broadview Heights is a suburb of the Greater Cleveland area with a population of about 19,000, 15 percent of whom are 65 and over. This age group is most vulnerable to Alzheimer's disease, Huntington's disease and other forms of dementia. The Cleveland Area Chapter of the Alzheimer's Associates provides support to seniors in the region with these cognitive challenges. In order to support seniors in Broadview Heights with Alzheimer's or another form of dementia, there are a dozen memory care facilities in or nearby the city. These communities are known as Residential Care Facilities and some share a campus with assisted living facilities while others have their own facilities. 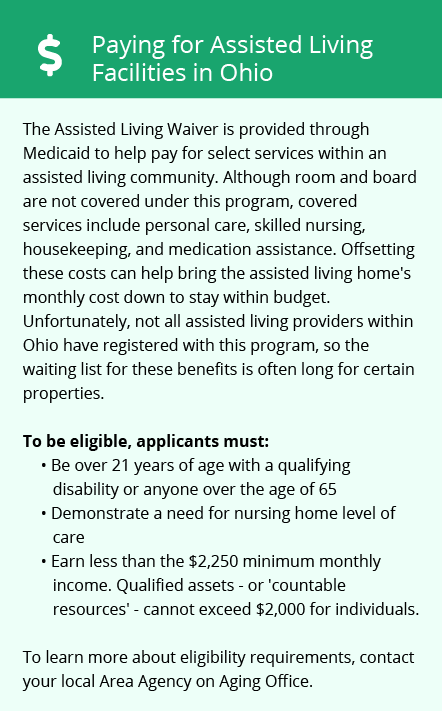 In Ohio, the Department of Health licenses and regulates both types of senior care facilities. The cost of living in Broadview Heights is 107, compared to a national average of 100 and a state average of 75. The highest cost is due to housing here, which may indirectly impact seniors in memory care due to possibly higher operating costs. In Broadview Heights, violent and property crime is both a fraction of the national and state levels. This may be some cause of relief to family members moving to the area to be closer to loved ones in memory care facilities. Ohio is a somewhat tax-friendly. The state does not tax Social Security income, but it does tax withdrawals from retirement accounts. Wages earned by seniors are taxed normally. This means that Broadview Heights seniors relying on SSI could have a little more money for their memory care monthly fees. On average, Broadview Heights has 164 sunny days per year compared to the national average of 205. However, July highs of 83 and January lows of 20 are on par with state and national averages. Broadview Height has a moderate climate, but caregivers should ask what precautions are taken to protect memory care patients during extreme weather. Memory Care costs in Broadview Heights start around $5,250 per month on average, while the nationwide average cost of memory care is $4,800 per month. It’s important to note that memory care rates in Broadview Heights and the surrounding suburbs can vary widely based on factors such as location, the level of care needed, apartment size and the types of amenities offered at each community. Broadview Heights and the surrounding area are home to numerous government agencies and non-profit organizations offering help for seniors searching for or currently residing in an assisted living community. These organizations can also provide assistance in a number of other eldercare services such as geriatric care management, elder law advice, estate planning, finding home care and health and wellness programs. To see a list of free memory care resources in Broadview Heights, please visit our Assisted Living in Ohio page. 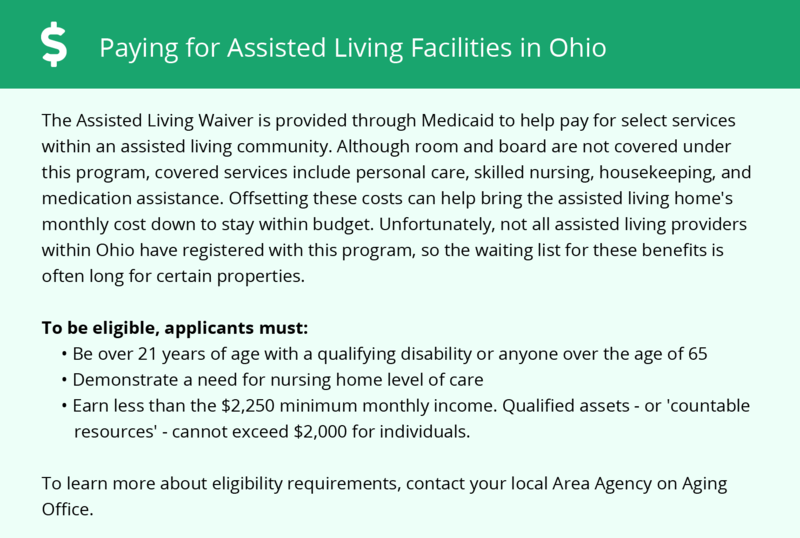 Broadview Heights-area assisted living communities must adhere to the comprehensive set of state laws and regulations that all assisted living communities in Ohio are required to follow. Visit our Memory Care in Ohio page for more information about these laws.